The Single Barrel Reverse Turbine is possibly one the best root cutting nozzles available today for thoroughly cleaning roots, grease and debris from a drain. It only has one moving part and can be cleaned on site without tools in minutes. 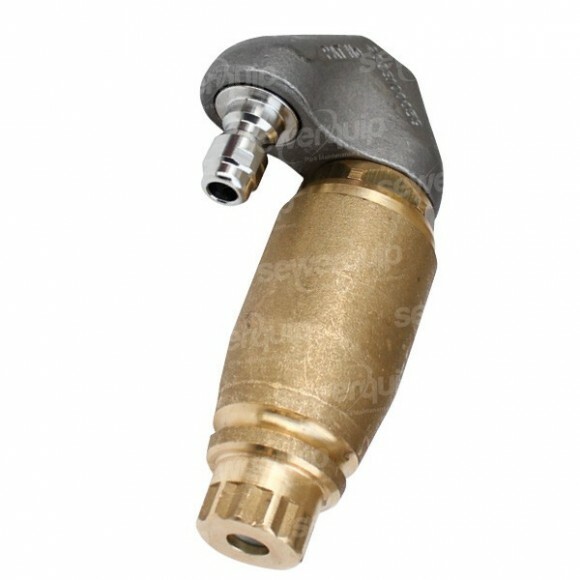 It is an extremely reliable nozzle and includes a quick connect adaptor and front plug. Made from duplex stainless steel for long life.